Mailman School alumni events in Washington, D.C., are a reliable opportunity to hear the various ways grads are involved with federal policy. Once in a while, these alumni updates are accompanied by breaking news. 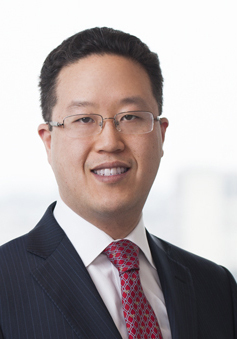 At a March 15 alumni mixer, James Kim, MPH 2003, reported that only minutes earlier he had learned that a federal judge in Hawaii ruled in favor of a temporary injunction halting President Trump’s revised Executive Order barring individuals from six Muslim-majority countries and refugees from entering the United States. It was a victory for Kim, a lawyer with McDermott Will & Emery, who led a team of attorneys in drafting an amicus brief to support the injunction. Filed on behalf of the National Asian Pacific American Bar Association, the brief situates the immigration question in American history, drawing attention to policies blocking immigrants from Asian and Pacific Island countries, such as the Chinese Exclusion Act of 1882—the first federal law to ban a group of people on the basis of their race—as well as the internment of Japanese-Americans during World War II. The 40-page brief argues that the Executive Order is in violation of religious protections in the Constitution, as well as the 1965 Immigration and Nationality Act, which dismantled nationality-based discrimination, lifting caps on the number of people from countries in Asia, Africa, the Middle East, and Southern and Eastern Europe. “A return to the kind of system that discriminates based on an individual’s place of birth goes against the diversity upon which this country was built and has worked so hard to preserve,” Kim asserts. Named partner at McDermott in 2013, Kim represents government contractors, including many healthcare clients that interact with the Defense Health Agency, Tricare, Veterans Health Administration, Centers for Medicare and Medicaid Services, Centers for Disease Control and Prevention, and the National Institutes of Health. The Hawaii injunction isn’t Kim’s first brush with immigration law. Beginning in 2015, he served as pro bono counsel to the National Queer Asian Pacific Islander Alliance and helped them file an amicus brief in United States v. Texas, a Supreme Court case that blocked President Obama’s Deferred Action for Parents of Americans program that could have delayed deportation for millions of undocumented immigrants. The brief argued that affected LBGT individuals often fear being deported to countries where they risk facing persecution.